Welcome to week 192 of Haiku Horizons! This prompt for this week is “treat“ . Haiku Horizons will provide a haiku prompt each Sunday. Write a haiku based on the prompt and link to your post by clicking on the image below. For additional details, read the About page. To offer prompt suggestions, click on the “Prompts” tab. Enjoy! This entry was posted in Haiku Horizons and tagged haiku, Haiku Horizons, prompt, theme, treat on October 29, 2017 by oneofaclass. Welcome to week 191 of Haiku Horizons! This prompt for this week is “castle“ . Haiku Horizons will provide a haiku prompt each Sunday. Write a haiku based on the prompt and link to your post by clicking on the image below. For additional details, read the About page. To offer prompt suggestions, click on the “Prompts” tab. Enjoy! This entry was posted in Haiku Horizons and tagged castle, haiku, Haiku Horizons, prompt, theme on October 22, 2017 by oneofaclass. 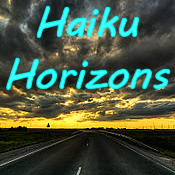 Welcome to week 190 of Haiku Horizons! This prompt for this week is “leaf“ . Haiku Horizons will provide a haiku prompt each Sunday. Write a haiku based on the prompt and link to your post by clicking on the image below. For additional details, read the About page. To offer prompt suggestions, click on the “Prompts” tab. Enjoy! This entry was posted in Haiku Horizons and tagged haiku, Haiku Horizons, leaf, prompt, theme on October 15, 2017 by oneofaclass. Welcome to week 189 of Haiku Horizons! This prompt for this week is “mist“ . Haiku Horizons will provide a haiku prompt each Sunday. Write a haiku based on the prompt and link to your post by clicking on the image below. For additional details, read the About page. To offer prompt suggestions, click on the “Prompts” tab. Enjoy! This entry was posted in Haiku Horizons and tagged haiku, Haiku Horizons, mist, prompt, theme on October 8, 2017 by oneofaclass. Welcome to week 188 of Haiku Horizons! This prompt for this week is “fall“ . Haiku Horizons will provide a haiku prompt each Sunday. Write a haiku based on the prompt and link to your post by clicking on the image below. For additional details, read the About page. To offer prompt suggestions, click on the “Prompts” tab. Enjoy! This entry was posted in Haiku Horizons and tagged fall, haiku, Haiku Horizons, prompt, theme on October 1, 2017 by oneofaclass.